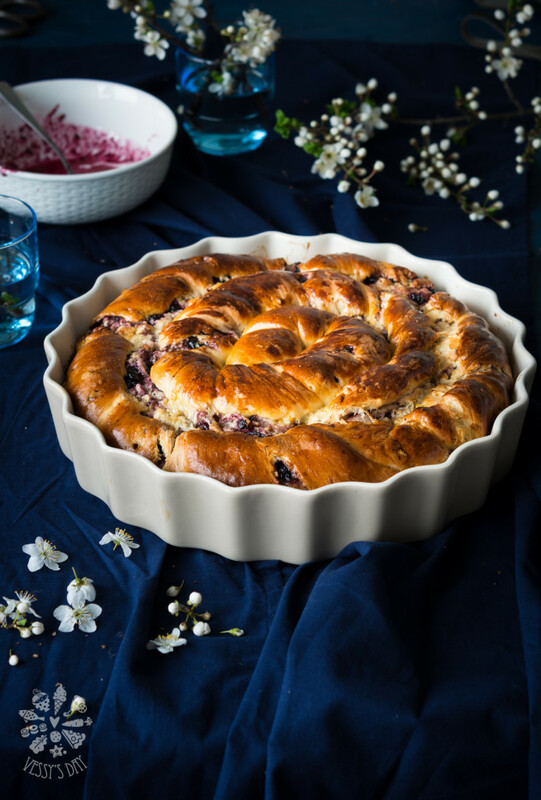 This is my one and only favorite Easter bread recipe. I’ve made this bread so many times that I can’t even count. Every time it turns out great. 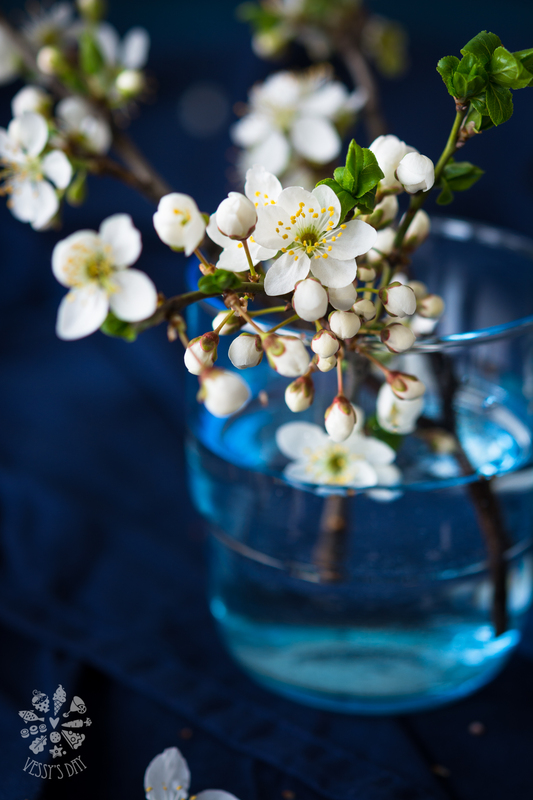 Recipe is not complicated, just the opposite – it’s quite easy and straight forward. The only thing that’s important here is the dough kneading. This dough is way more stickier and softer that a regular bread dough so it’s a bit harder to knead by hand. I strongly recommend you to use a stand mixer with the dough attachment for this recipe or any other food processor with kneading setting you might have. In case you don’t have such equipment, you can knead the dough by hand but prepare for a good work out because total kneading time is about 30 minutes. If you are doing this by hand just use a rubber spatula and just stir it and push it around the bowl until soft, smooth and glossy. In case you need to use your palms and fingers for the kneading make sure they are greased with butter. 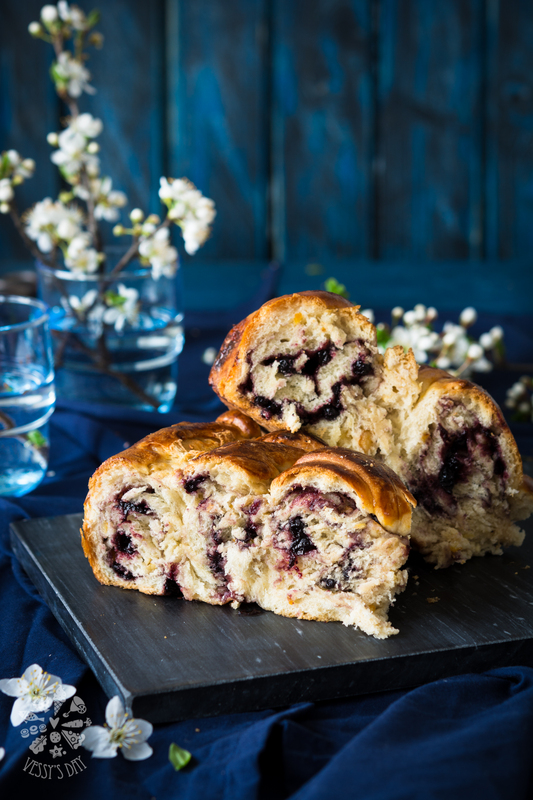 Blueberry jam is one our favorite and I decided to make our Easter bread a little bit more interesting this yer. Feel free to use any other jam of your choice, even nutella will be awesome addition too! ***This bread is best on the day that is baked! 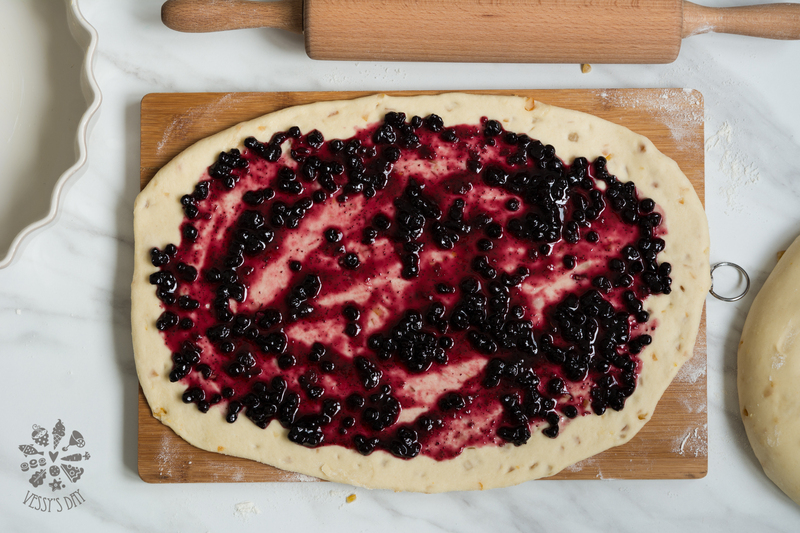 ***prepare the dough ahead – make the dough the night before and leave in the fridge covered in plastic wrap. It will slowly rise by the morning. Then take it out and leave it at room temperature for about two hours to warm up. Once at room temperature you may continue with dividing, shaping and prepping for second rise (see the rest of instructions below). In the bowl of a stand mixer fitted with a bread hook, add the flour, salt and yeast. Beat for 15 seconds to distribute the yeast evenly within the flour. Add the milk, eggs and honey and beat for about a minute then add the oil and continue beating for another 20-25 minutes or until you have super smooth and shiny dough. Dough will be a bit sticky, but don’t get tempted to add extra flour. Within the last minute add the orange peel and beat to combine, about a minute. 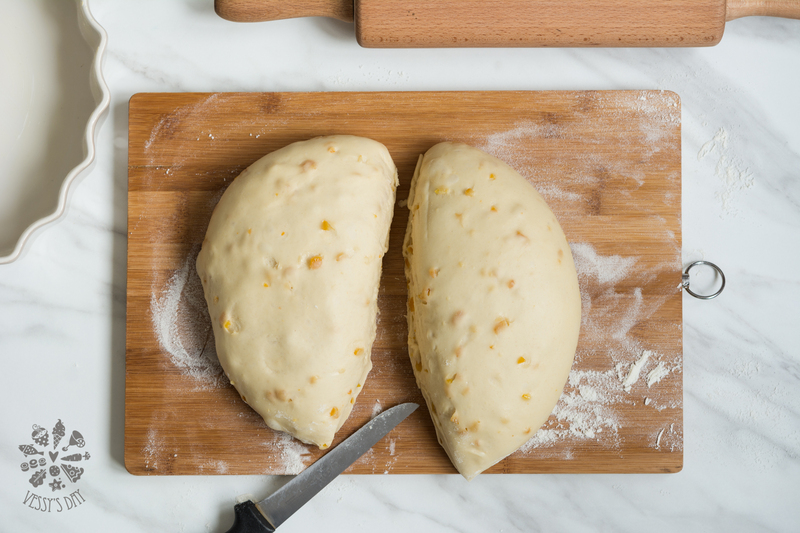 Remove the bowl from the mixer and scrape the dough to the center of the bowl using a rubber spatula. Dust lightly with flour all around the dough and underneath it, cover the bowl loosely with plastic wrap. Allow to rest in a warm place until doubled in size, about 1 hour. *** You could pop that bowl in your oven, set on the lowest possible temperature (enough to warm up the oven a bit, not bake the dough!) for a quicker rise. 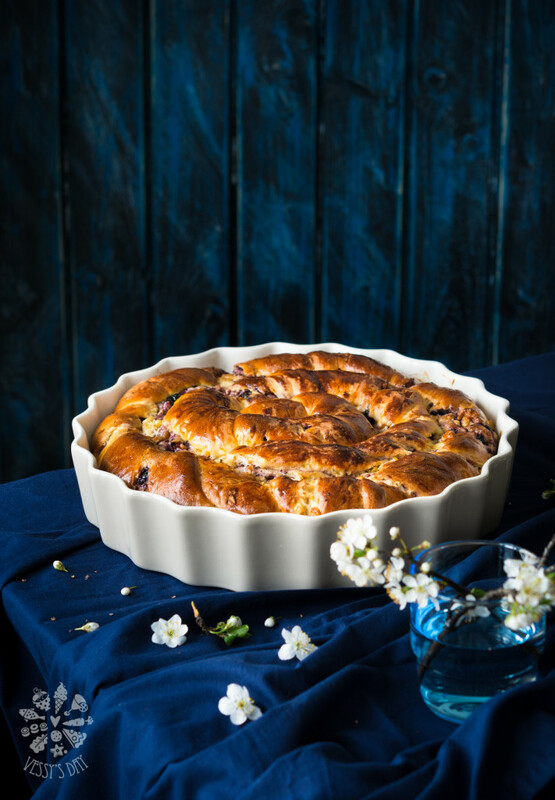 Grease a 30 cm (12 inch) round baking pan with butter and set aside. 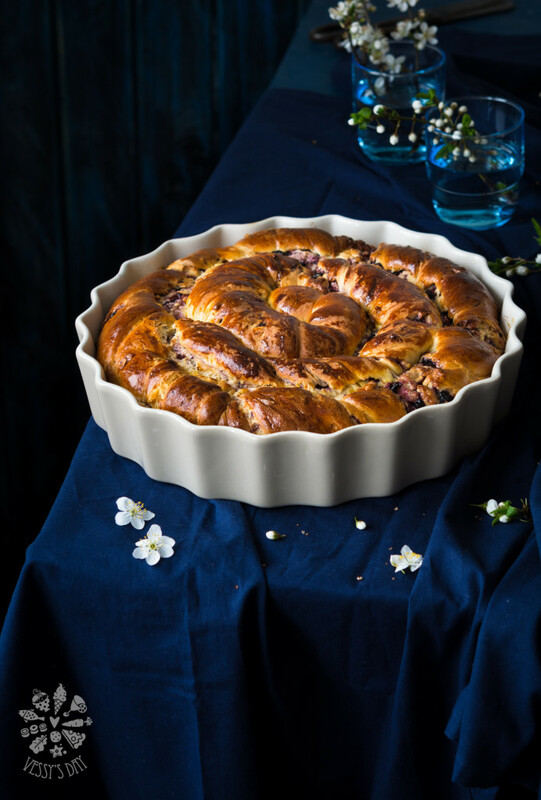 After rising, gently take the dough out of the bowl, using your hands, greased with oil and place on a large kneading board or on your counter. 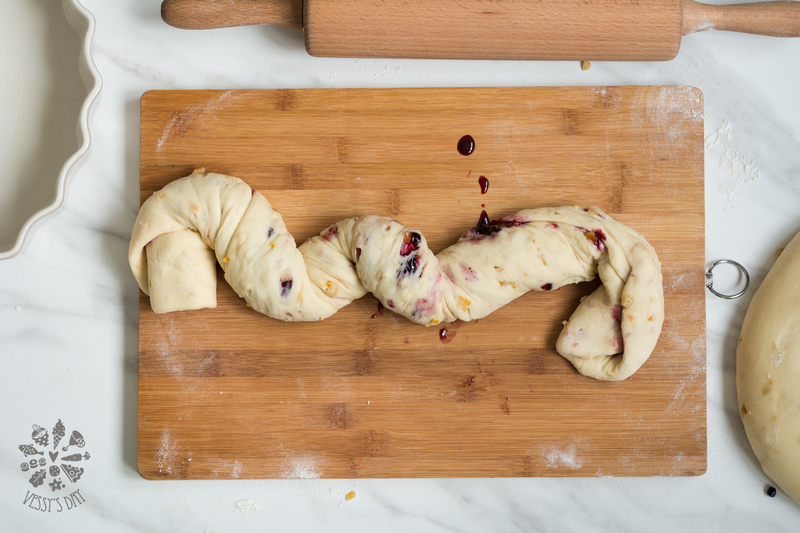 Don’t knead the dough and be gentle with it, you don’t want to deflate it too much. Cut dough in half. 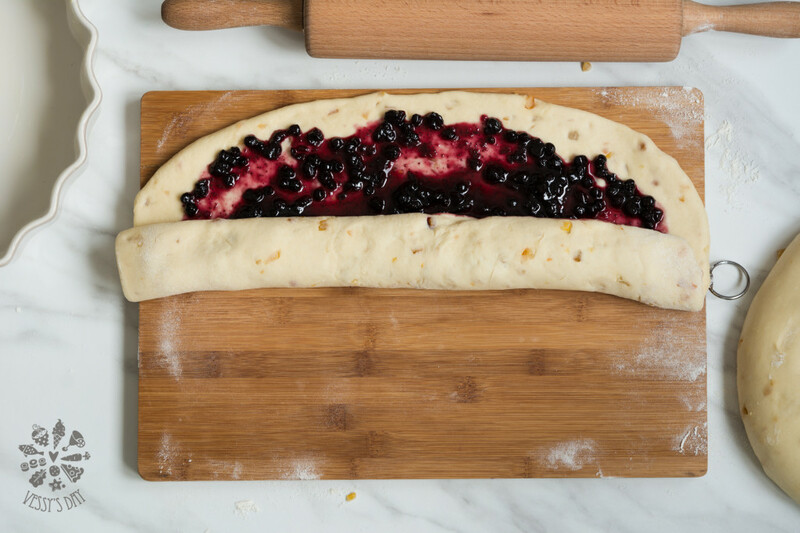 Gently roll each piece of dough into a large rectangular then spread a thin (or thicker) layer of the blueberry jam. 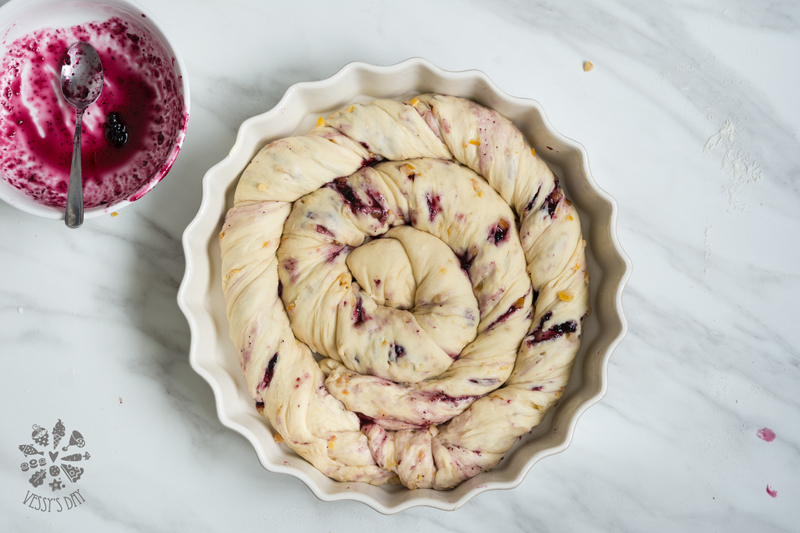 Roll the dough tightly then twist it as much as possible. Gently transfer onto your baking pan. Repeat steps for the other piece of dough. Set aside to rise again for about 30-45 minutes, depending on the temperature of the room. 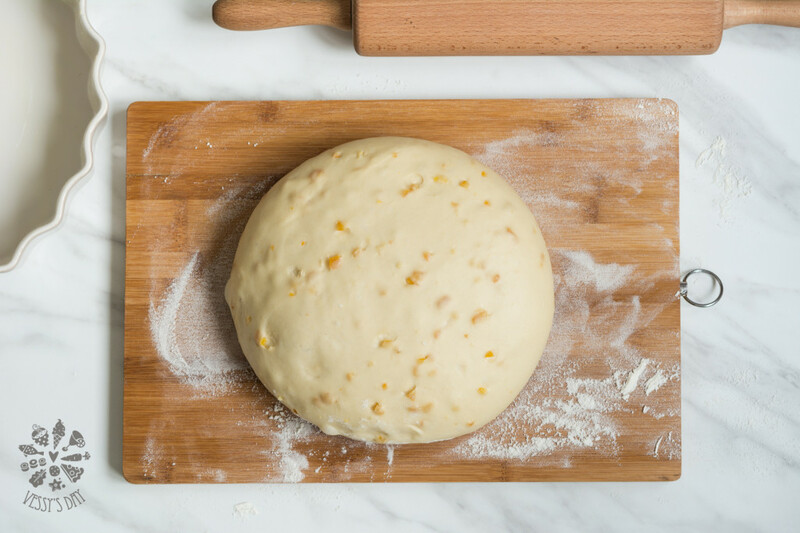 After the second rise, brush dough with lightly beaten egg yolk with a little water and sprinkle some sugar on top (optional). Bake for 45-50 minutes, lowering the temperature of the oven if you see the top starting to burn. 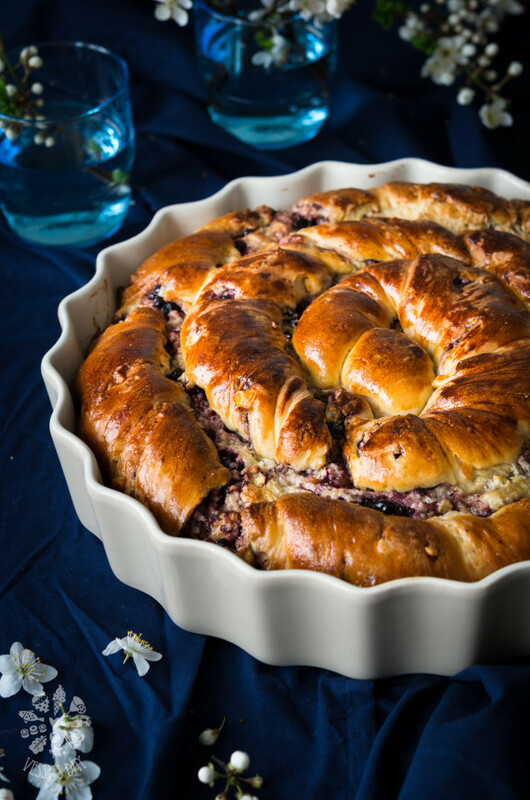 Remove from the oven and allow to cool to room temperature before serving. Ow as really easy to make. My husband said it looks like it came from a bakery. Very yummy. I’m going to experiment with different fillings next time.